Groupon. It's so exciting to just watch them. One for the ages and great people too. Externalities are frustrating. There is so much you can't control about the business environment around you - which adds an ingredient of capriciousness to the adventure. Ironically, control is also one of the greatest rewards - complete control over how you spend your time. Not noticing what excites them. I actually think we're not by and large programmed to notice our ideas and inspirations as they pass us by. We're actually programmed to do quite the opposite. We're trained to pick a goal from a set of pre-defined options and then avoid distractions that might divert us from that goal. We learn how to follow curricula, prepare for tests, choose and complete majors, apply for jobs, climb professional ladders, etc. -- the better we are at following the trail, the more rewarding the trail becomes. And that's fine. That's a very good way of life. But this mode is so intrinsic that we're not really even aware that we're doing it and I think we miss opportunities to take a shot at something that might be a more natural fit for us -- something not on the menu. The decision to chase after an alternative inspiration actually requires a substantial mental shift. And I think that step is perhaps the biggest hurdle to becoming an entrepreneur -- noticing the inspiration and believing in it. 1. How important the team is. It is wise to recognize that these things require multiple people with different skills. Finding those people and giving them the ownership and the power to go do their thing—that’s the cornerstone of building a great thing. We have a lot of talented people who are given a lot of autonomy and ownership. You need to be generous with talent. 2. How important a strong sense of self is. What you’re doing and how you define yourself culturally. We treasure culture [at Pandora]. It pervades everything you do—how you treat your employees, how you treat the people who use your service, how you conduct yourself, how you make financial decisions, how you plan your business, etc. 3. It’s not for the faint at heart. I think virtually every great entrepreneur has had at least one moment in their lives where they have had to go left when everyone else is going right; when they had a notion of an alternative path, and had the confidence to believe in it. That's innovation -- noticing a different way and following it. 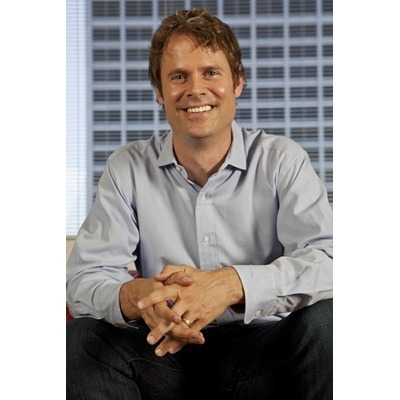 Pandora Founder Tim Westergren created the internet radio giant in January 2000 and now serves as the company’s chief strategy officer. 80 million people have registered to listen to Pandora on their computers, phones and consumer electronics devices. Their personalized radio stations make up more than half of all online radio listening. A lifelong pianist with blues and jazz roots, Tim received his B.A. from Stanford University, where he studied music theory and composition, but spent most of his time at the Center for Research in Musical Acoustics - a campus think tank focused on the integration of computers and music. Tim’s passion for helping talented emerging artists led to his decision to found the Music Genome Project. Designed to connect artists with listeners who are most likely to enjoy their music through a combination of technology and musicology, the Music Genome Project powers the personalization of Pandora radio. In addition to guiding Pandora's overall strategy and vision, Tim now spends most of his time as Pandora's chief evangelist, traveling the country to meet with listeners, ensuring that Pandora stays in-tune with its fast growing audience. Tim was mentioned in a VatorNews article "When Pandora was young: the early years"
Tim was mentioned in a VatorNews article "Struggling Pandora turns to former CEO Tim Westergren"
Tim was mentioned in a VatorNews article "Pandora buys Next Big Sound to go deeper into analytics"
Tim was mentioned in a VatorNews article "See Jessica Alba, Brian Lee at Vator Splash LA, Oct. 2"
Tim was mentioned in a VatorNews article "Pandora shares up, CEO Joe Kennedy stepping down"
Tim was mentioned in a VatorNews article "Splash LA Video: How TrueCar went into a tailspin"